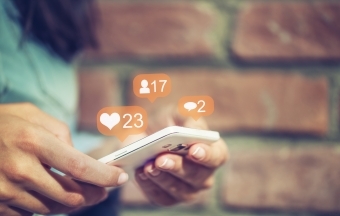 What Should be Included in Your Company Social Media Policy? - Powered by technology, our unique program uses software and algorithms to conduct a custom online competitive edge! What Should be Included in Your Company Social Media Policy? One of the reasons why marketers are venturing into social media is to realize profits. Gaining a sizeable following through your social media campaign requires a dedicated policy. Your followers on various social platforms need to buy your products for you to realize profitability. That is what makes social media marketing a worthwhile investment. Therefore, it is necessary to craft a company social media policy that can help you convert sales through social media. A campaign with no focus is bound to fail. It's easy to fall into the trap of thinking you can "just post' on social media and do "good enough. But brands with a widespread following and viral content didn't get there by accident. Choose a specific goal and a set of sub-goals for each social media program you launch. Is your main goal to increase sales? Then you need a series of metrics that will lead to that end goal, like boosting click-through rates to your site, growing your following, and improving individual post engagement. Knowing your audience is just as important as knowing your goals. Who do you want to reach with this social media program? Refer to your existing audience segments if you have them, or develop buyer personas to represent each group you want to reach. Include information from demographics to lifestyle and pain points. Finally, do some digging and find out where your audience is spending their time online? Which social media platforms have the largest segments of your target audience? Choose one to three platforms so you can dedicate enough time to each. It is difficult to attract an online following if your audience does not know what to expect from you by what you post. For that reason, you should avoid treating social media as a novelty where you post heavy volume for one week and fail to avail more information the following week. Therefore, observing consistency, in this case, is critical because it will impact your social media marketing activities positively. Any rapid change in the volume you post online every week can affect your reputation among your online audience, and that will eventually drive them away. Social media campaigns depend on your ability to separate your social strategy from the company to give it a personal touch. Hence, you should not approach social media campaigns from the company point of view, but rather from an individual perspective so you can connect with people. Additionally, if you are posting on behalf of your company adjusting your voice and tone is necessary, and your campaign should reflect the element of a personal touch too. It is a fact that it will not cost you a thing to create a page for your company or make a post on social platforms. For that reason, most individuals view social media campaigns as a free strategy. On the contrary, if you want to achieve better results, you need to invest in social media either through talent to join your team, spending some time to support your efforts or through paid ads. Today's modern business must have a social media strategy to survive. It is essential to social networking and connecting with the top influencers within your industry. However, there are also other benefits such as free advertising for your business or you can choose to use a paid advertising campaign to promote your products and services as well as improve customer satisfaction by analyzing customer feedback. It is a great way to give a voice to your customers. For more information on creating a company social media policy, please contact us.